AUSTIN, TX (KTRK) -- Authorities are offering a $12,500 reward for information leading to the capture of a most wanted fugitive with gang ties. Jared Luke Langley, 34, is wanted for parole violation, burglary, theft, evading arrest and possession of a controlled substance with intent to deliver/manufacture. According to the Department of Public Safety, Langley has ties to the Aryan Brotherhood of Texas. 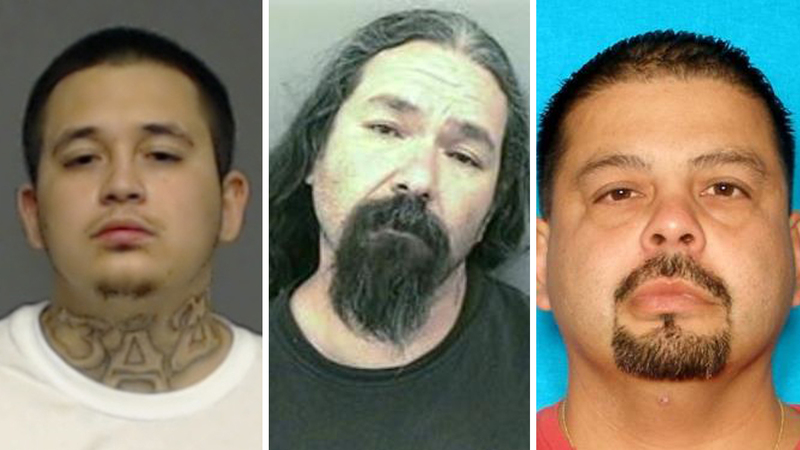 Do you have any information about the whereabouts of these fugitives? Langley is 5 feet, 6 inches tall and weighs approximately 190 pounds. He has numerous tattoos on his abdomen, back, chest, arms and legs. He also goes by the aliases "Twisted" and "Twist." He has known ties to Montgomery and Madison counties, and his last known address was in the city of Midway. Authorities issued a warrant for his arrest for parole violation last summer, but Langley evaded capture and fled on foot the next month. Anybody with information about Langley's whereabouts is asked to contact Crime Stoppers by calling 1-800-252-TIPS or visiting the DPS website.